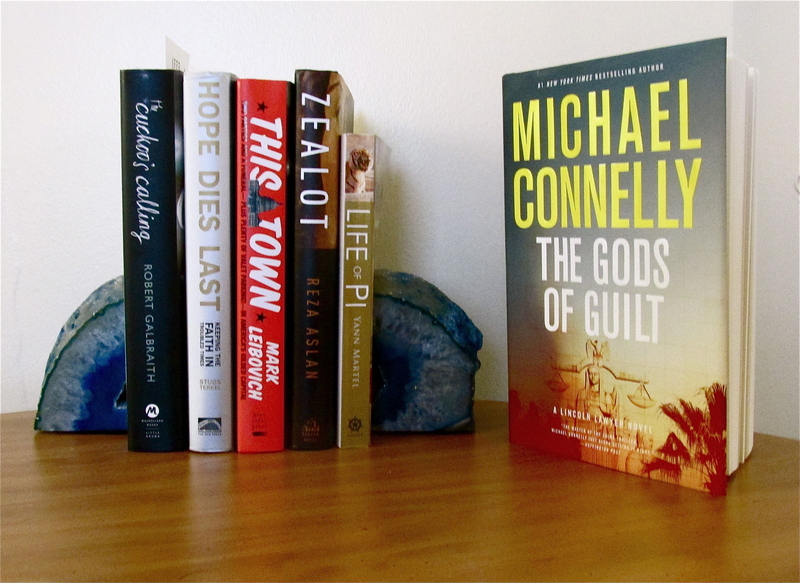 I’ve just finished Michael Connelly’s newest novel, “The Gods Of Guilt,” and the final pages of tense testimony left me shocked, drained and gasping for breath. 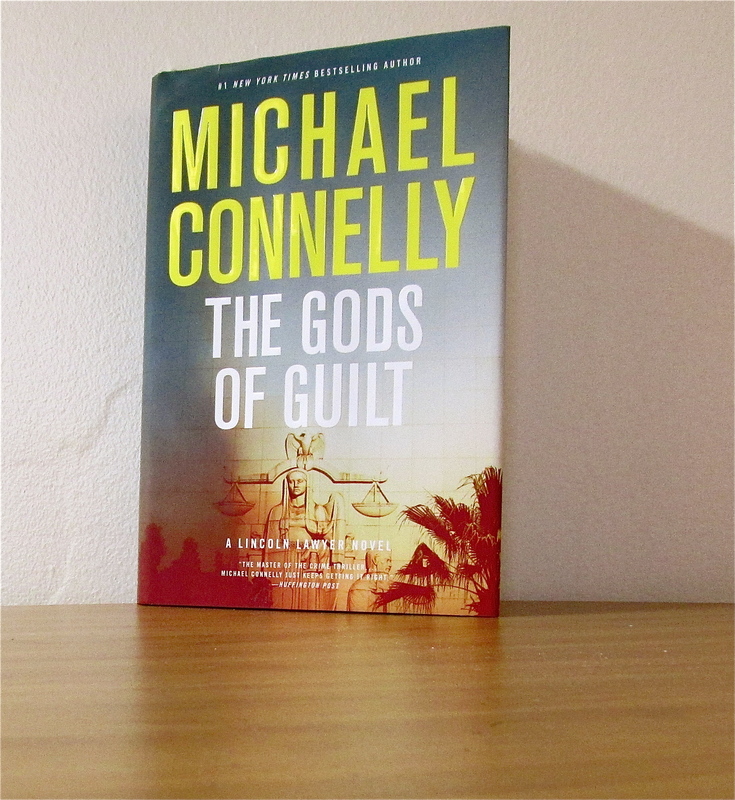 “The Gods of Guilt” is courtroom high drama with the explosive tension of a crashing airplane. I haven’t read all of Connelly’s 26 novels, but this has to be one of his best. The ink is still wet on the book, published only two months ago, but the verdict is in. Michael Connelly, call your accountant. If you’re not already a rich man, “The Gods Of Guilt,” and the movie that will surely follow, will make you one. This addition to the “Lincoln Lawyer” series raises Connelly to equal status with the other leading contemporary lawyer-suspense writer, John Grisham. In addition, the courtroom drama in Connelly’s new book recalls to mind an author who’s fading into history, the late Erle Stanley Gardner (1889-1970). Connelly’s Mickey Haller and Gardner’s Perry Mason are both defense lawyers. But that’s where the similarity ends. Perry Mason’s clients were always innocent; Mickey Haller’s clients are more likely guilty, and usually liars as well. Mason works in a classy office with a beautiful secretary; Haller works out of the backseat of his car. Except that in “The Gods Of Guilt,” Lincoln lawyer Mickey Haller is channeling the tough interrogation style of Perry Mason. Remember? The long-running TV series featuring Raymond Burr as Perry Mason; with secretary Della Street (Barbara Hale), and private detective Paul Drake (William Hopper). Mason, Street and Drake were the quintessential courtroom drama team. The three appeared together in all 271 episodes of the hour-long “Perry Mason” show. Consider the possibilities for a Lincoln Lawyer TV series. Mickey Haller’s legal team scarcely bears comparison to Perry Mason’s, but they do play similar roles. Cisco Wojciechowski is the private eye, not nearly as dapper as Paul Drake; Haller’s ex-wife Lorna Taylor is the office manager without an office, and not nearly as deferential to the boss as Della Street. Add in Haller’s brainy, young associate, Jennifer “Bullocks” Aronson, hired straight out of law school. And “Legal” Siegal. A feisty old attorney confined to a nursing home, “Legal” provides the courtroom strategy that gets Mickey Haller in and out of trouble. I hasten to stipulate that Connelly and Grisham are more accomplished writers than Gardner, who was a master of pulp fiction. But even as Connelly and Grisham are within striking distance of 30 novels each, neither will ever catch up with Gardner’s prodigious output, under his own name and pseudonyms. Only one coincidence makes me want to compare Haller and Perry Mason. Mason always solved the mystery in the end. He always did it the same way, breaking down a witness under oath, wringing a confession out on the witness stand. Connelly’s “Gods Of Guilt” reaches a climax in somewhat similar dramatic fashion. That’s all I’m going to say! If the Lincoln Lawyer ever does make the jump to a TV network (or HBO), Connelly might be sorry he killed off driver Earl Briggs in a hit-and-run homicide, just as Earl was becoming a flesh-and-blood main character in the new book. Not to worry. Connelly has a deep bench, when it comes to characters. Homicide detective Harry Bosch — protagonist in Connelly’s earlier mystery series, before he invented the Lincoln Lawyer — will fit right in. Connelly has already cleverly connected Mickey Haller and Harry Bosch. Seems they’re long-lost half brothers, a defense attorney and a police detective, natural enemies. And they’re warily considering accepting each other as relatives, in the best interests of their young daughters, who are, of course, cousins. No end to the connections and complications coming from the creative imagination of Michael Connelly. I can see the Lincoln Lawyer and detective Harry Bosch collaborating in a long-running TV series. It would combine the grit of “Hill Street Blues” and the color of “LA Law.” And maybe the panache of Perry Mason, Della Street and Paul Drake. Such a TV series — or a couple of movies — would raise the lawyer-suspense genre to a whole new level. Courtroom drama doesn’t get any better. NOTE: This post is part three in an occasional series about “Lawyer Fiction” comparing Connelly and Grisham. Part 1, which focuses on Grisham, is here. Part 2, which compares the two authors’ work and backgrounds, is here. Interested on more about John Grisham and his books? His Website is here. Interested in more on Michael Connelly? His Website is here. This entry was posted in Books and tagged Erle Stanley Gardner, Fiction, Gods Of Guilt, John Grisham, Lincoln Lawyer, Michael Connelly, Mickey Haller, Mystery novels, Perry Mason by Editor (Retired). Bookmark the permalink. Happy reading, Sue, and a happy year! Michael Connelly will keep you busy for a long time. Let me know what you think of his characters. Was already in my “to read” stack. Have now moved it to the top. Thanks! Best to read “Gods Of Guilt” before you start on the Al Gore book. “The Future” takes a lot of time, and it’s not nearly as entertaining.